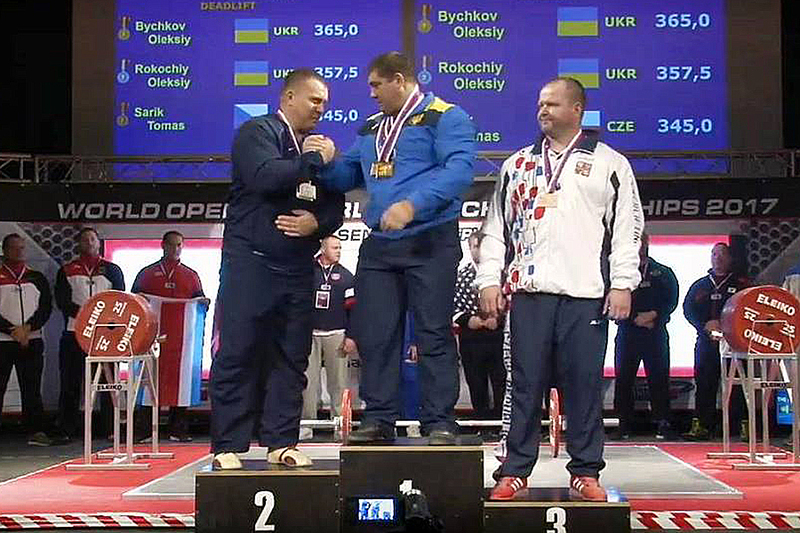 LTSNU master student Oleksii Bychkov received four gold medals at the World Powerlifting Championships. On the penultimate day of the World Championship in Pilsen (Czech Republic), the competitions of the strongest men in the world in the weight category up to 120 kg took place. The world record holder 32-year-old Oleksii Bychkov (Master student majoring in “Physical Culture and Sports.”) confirmed once again that he did not have competitors in this category. 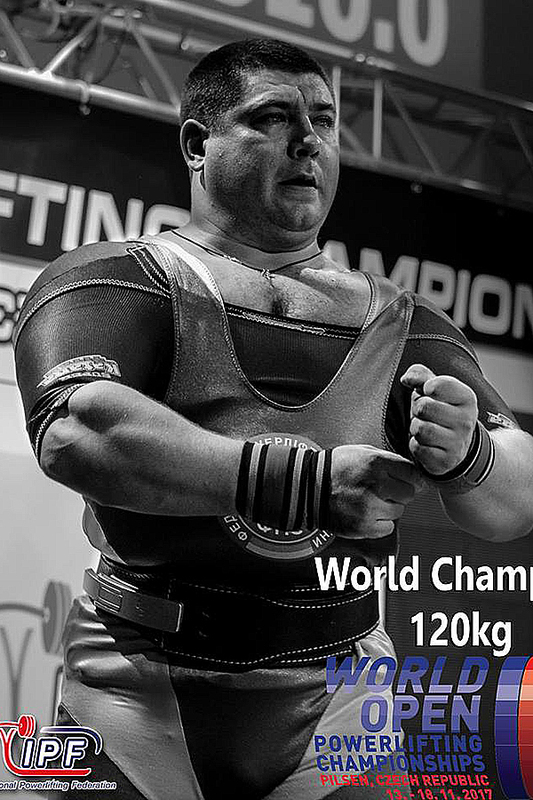 Oleksii received four gold medals, and also improved his own world record in the amount of 1127.5 kg! The Ukrainian started with 400 kg. The next attempt at 415 kg was also successful. 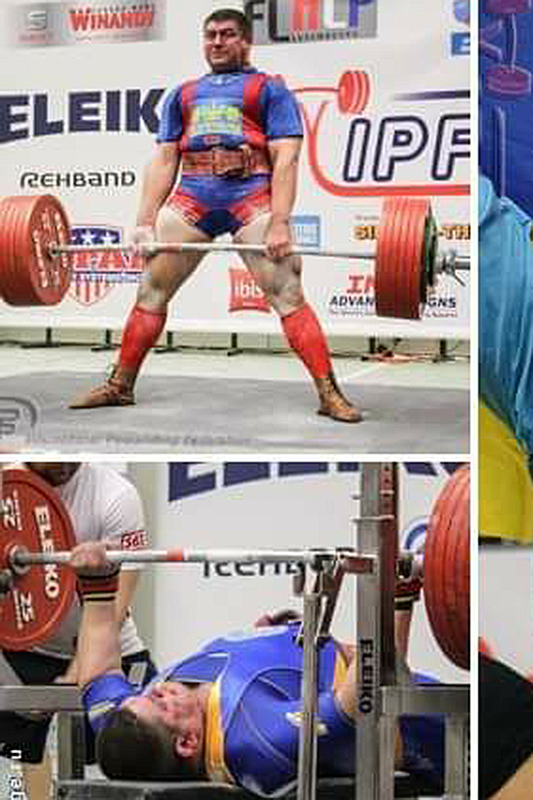 Already in the rank of champion in squatting, Oleksii Bychkov competes only with himself, orders 425 kg and improves his own record. In the second kind of the competitive program – press bench – Oleksii Bychkov starts with a weight of 310 kg and goes into the lead. Then he improves his personal record – 330 kg, and finishes the exercise with the result of 337.5 kg. In deadlifts, Bychkov starts very confidently – 350 kg. And this was an application for a medal. In the second attempt, he orders 365 kg, flawlessly performs the exercise and updates the world record in the amount of 1127.5! In the hall, once again the national anthem of our country is sounded, the champion Oleksii Bychkov shouted at the top of his voice: “Glory to Ukraine!”. In response, it sounds: “Glory to the Heroes!”. According the results of the men’s national team of Ukraine in the World Powerlifting Championships – 2017, it can be said that today students and graduates of the Institute of Physical Education and Sports form the basis of the team. Thanks to the successful performances of our athletes, the main team of the country for the third time in a row wins the team competition, leaving behind the national teams of Russia, the USA, Norway, and Poland. 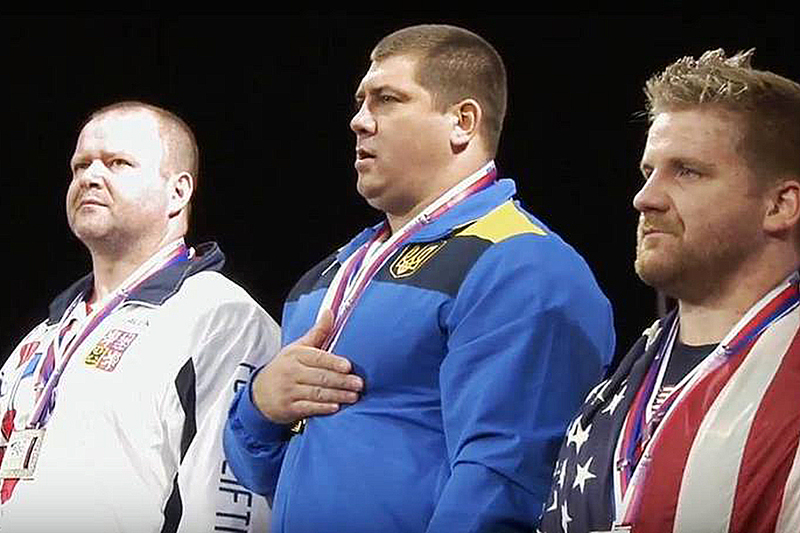 The international master of sports of Ukraine Mykola Barannik, master student majoring in “Sports”, twice winner of the world championships, won a silver medal in the bench press (w / c 74 kg) – 227 kg. We can consider that such a result is a worthy gift to the native institute on the eve of the celebration of the 70th anniversary!